Richard von Weizsäcker has passed away, aged 94. The sixth president of the Federal Republic of Germany was the country's highest-ranking representative from 1984 to 1994. DW takes a look back at his tenure. It was a first-of-its-kind event. From far and wide people were streaming into record stores and bookshops to buy a commemorative speech. Just reading that speech would not have been sufficient - you had to listen to it! It was probably the most important speech delivered by then German President Richard von Weizsäcker during his time in office. Paying tribute to the 40th anniversary of the end of World War II in the German parliament on May 8, 1985, Weizsäcker caught his audience's attention with a critical assessment of the German surrender. It was in touch with the zeitgeist, creating a stir and receiving recognition beyond German borders. "May 8 is not a celebration day for us Germans," Weizsäcker said in his address. "The memories of those who lived to see it go back to very personal and, therefore, vastly different experiences. Some returned home, others lost their homes. For one person's freedom, there was another person's imprisonment." Some Germans, Weizsäcker continued, had had their illusions shattered while others were grateful for the opportunity to start anew. In his commemorative speech Weizsäcker managed to verbalize lived history, including his own. Just one year earlier, the former mayor of Berlin had been elected sixth German president. The course for his future career was set during his childhood. On April 15, 1920, Baron Richard von Weizsäcker was born into a family of diplomats in the southern German town of Stuttgart. His father, Ernst, served as undersecretary in Hitler's Foreign Office from 1938 to 1943, followed by a stint as diplomat in the Vatican until the end of the war. Young Richard enjoyed an excellent education before doing his military service across Europe, eventually as a captain in the Wehrmacht. After the war he studied law and worked as an assistant to Hellmut Becker, who defended Ernst von Weizsäcker in the Nuremberg war crimes trials. The older von Weizsäcker was eventually sentenced to seven years of imprisonment. The unrelenting Nazi reign and its quick downfall left their mark on Richard von Weizsäcker. His first-hand experience of that fateful period in German history was reflected in his famous address, which struck a chord with many Germans in the mid-1980s. "May 8 was a day of liberation." It is this statement from his speech commemorating the end of World War II which is primarily associated with him to this day. At the time he went on: "In the face of that liberation nobody can forget the severe suffering which, for many people, only began on May 8 and continued afterwards." However, he asked the Germans not to identify the end of the war as the main reason behind the flight, displacement, and lack of freedom. Instead of that, he said, the foundation for all this suffering was laid with the inception of the war. The focal point of von Weizsäcker's ten-year presidency was reconciliation with Eastern Europe and Israel. He was convinced that a new start in the relationship could not be achieved by suppression of the past, but by commemoration and contemplation. His term saw the German reunification, though Helmut Kohl was celebrated as "chancellor of unity", with von Weizsäcker merely watching from the sidelines. In contrast to many others he preferred a cautious approach to converging the two states which had been separated for such a long time. 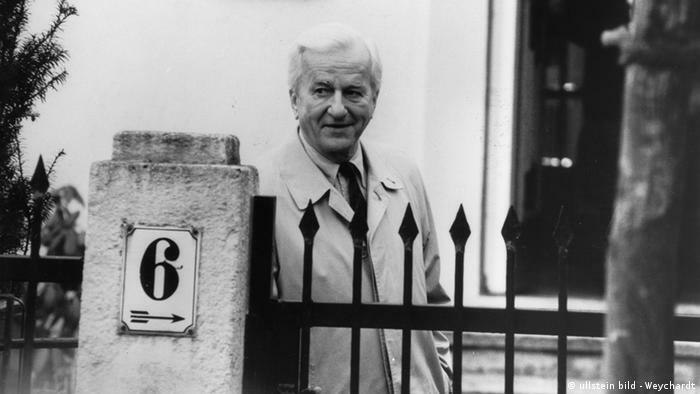 Following the end of his presidency in 1994, Richard von Weizsäcker continued to be in demand as a general advisor both at home and abroad and a passionate advocate of democracy and freedom. Occasionally, he even called his own fellow party members in the CDU to order. Through his exchanges of ideas with intellectuals, artists and business representatives he added a glamour to German politics. Yet he was no hands-on president, no down-to-earth spare-time wanderer like his predecessors Walter Scheel and Karl Carstens, respectively. By the same token, he was no humorous intellectual maverick like Roman Herzog, who succeeded him in office. Rather than that, he was the prototype of a serious and well-educated representative of the people, who managed to win over the public through his personality, his personal background and, first and foremost, his diplomatic manner. Until his death, Richard von Weizsäcker remained a major moral authority.